Bizible Review: "Multi Touch Attribution on Steroids"
Bizable is being used to provide marketing insight and ROI reporting. Bizable allows us to track interactions across channels regardless if it's property - so we can see how many touches it takes before a person becomes "known". We also use it to track interactions on an account basis to support our ABM programs. 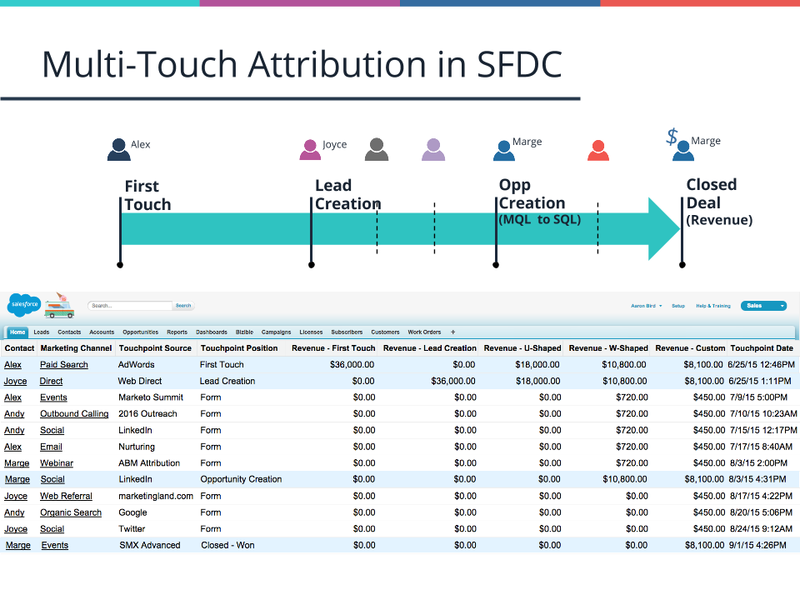 [It's] Multi touch attribution on steroids. If you are marketing across different channels - Paid Search, Organic Search, Programmatic Display, Email, Third-Party, etc., in order to properly evaluate if its working and what are the highest performing buyer journies and ROI - specifically multi-touch - you need Bizable otherwise you are really only able to see what they did after they were known vs. what drove them to become known. User Review: "Bizible is the Best"
I am part of the marketing team who manages Bizible for our organization. Marketing uses it primarily for reporting, specifically around how different channels influence our pipeline. The tool itself provides great insight into what's working and what's not, as well as helping us to identify trends and patterns. It is fairly easy to use, and as new integrations to different ad platforms are added, it's getting easier and easier. In addition, our rep Graeme, is so helpful and easy to get in touch with. Whenever we have questions, he responds right away! I will be curious to see how the Marketo integration influences the product. Full circle reporting. This is notoriously important in marketing, and this tool makes it possible. Great dashboards in Salesforce. With visual ways to see the data, everyone can understand it easily. Creative ways to track different things (e.g. content performance). Again, it's so important to track performance of all elements of marketing, and this tool makes it possible. Some of the input of cost is tedious, though it's getting better. Formerly there was only the AdWords integration and no social, though social is being adding over time. Some elements of the system are less user friendly, such as adding channels. For our use case, where we are attempting to justify our programs and spending, Bizible is really the best tool. I highly recommend it. 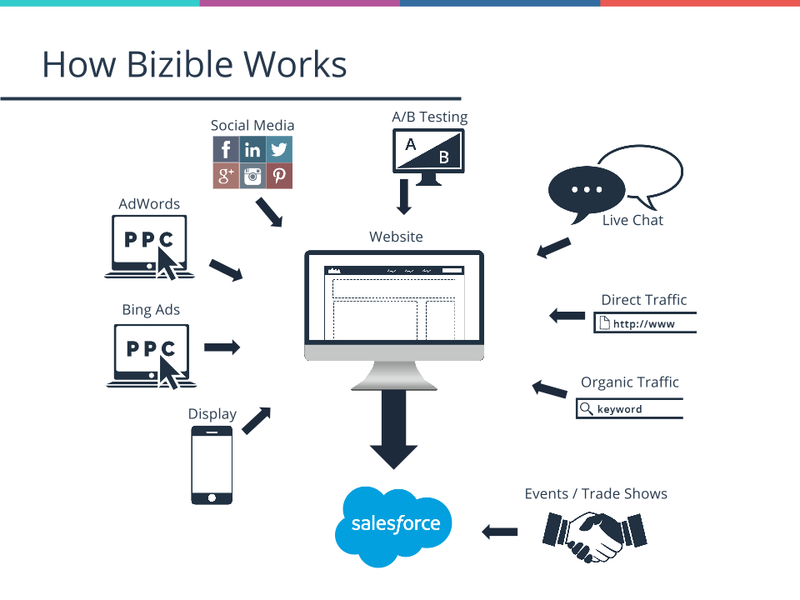 Bizible Review: "Great tool for multi-touch attribution!" We use Bizible to track marketing activity and for multi-touch attribution of marketing touchpoints. Bizible is great when you have multiple marketing channels and want to track their effectiveness throughout the funnel. 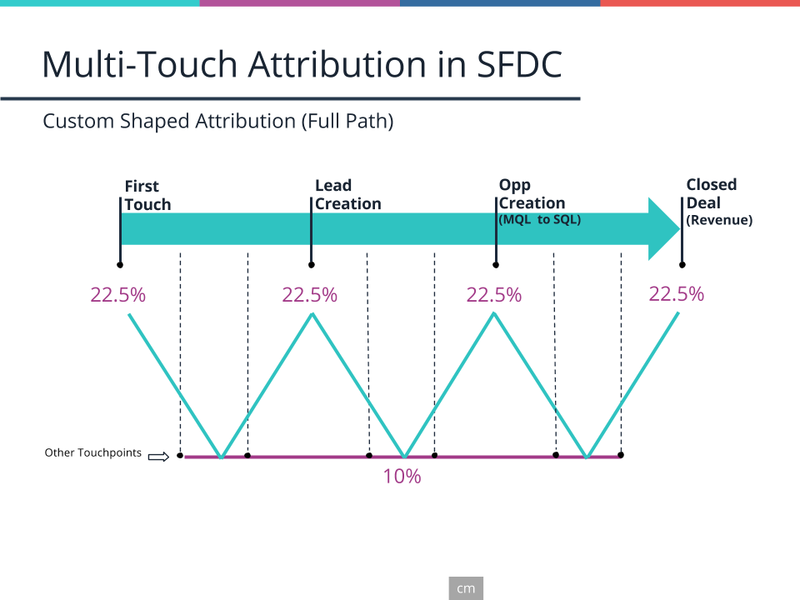 If you don't use many channels or market to prospects at different stages of the funnel, there is not as much need for multi-touch attribution. Bizible Review: "Best multi-touch attribution platform"
Bizible is being used to gain a better understanding of all touchpoints that occur during the customer journey to see how those tie to the sales cycle. It is being used by the Marketing organization currently, but will be expanded out to additional departments over time. The business problem it addresses is to better understand what channels, content, and more have the most and least impact to company revenue. Bizible is fantastic for gaining an understanding of every touchpoint that takes place across the entire sales cycle. It helped us to expand from using a last-touch model to see what other channels and content had a large impact that helped drive a lead to become an opportunity. Bizible Review: "Amazing Tool for Lead Attribution"
Bizible is helping our organization better identify where our leads are coming from. We're able to track online touches better and have better attribution to channels. It's helping us know which paid channels/campaigns are actually performing and how our organic channels are performing. With better visibility, we're able to scale faster, make more informed decisions, and fix things quicker than before. Improved logic for multi-channel attribution. We still haven't been able to setup multi-touch attribution. Large data sets can slow the program down. Bizible is great for providing better visibility and attribution to our demand generation team. This helps us know which leads are coming from which channels (paid, email, review sites, organic search, etc). We're able to better allocate our spend and optimize the channels that are providing the highest ROI and most recurring revenue. Bizible Review: "Learn what marketing channels are actually working"
We use Bizible on the marketing side of the house to help with reporting and marketing attribution. Recently we standardized our reporting and focus on a few key reports in Bizible rather than trying to look at everything. We understand in the marketing organization that to close a prospect multiple touches are needed and Bizible helps us report on those touchpoints and see the ROI from channels and campaigns. I would recommend Bizible when trying to find a solution for marketing attribution. What Bizible has that its competitors don't is the ability for website tracking so you can see insights from your website in Salesforce, which is great for condensing reporting. Bizible Review: "Attribute your marketing"
Bizible is being used by our Marketing and Sales departments to monitor what leads come in from what channel. This helps our Sales team to follow up with their leads in a more personalized way. This also helps Marketing put budget into our best performing channels, and also allows us to bring reporting back to management and finance to show what campaigns are working best. Attribute inbound leads to a specific channel. This helps us see which channels perform best for our business. Attribution reporting. I can use Salesforce reports to apply different attribution models to different touchpoints and have my percentage and revenue automatically calculated. Paid ad optimization. Bizible automatically pulls in paid ad spend and calculates ROI. Bizible's attribution window is only 30 minutes, so if a lead takes longer than 30 minutes to fill out a form, the attribution is incorrectly given to Web Direct. Bizible's dashboard is not very helpful for reporting other than paid ad spend. Their dashboard is not a waterfall model. Out of the box native Salesforce reporting still needs to be fully customized. For marketing departments pushing multi-channel campaigns and are utilizing UTM parameters and accurate reporting, this tool would help you to attribute dollars to your campaigns. This is not a tool for smaller companies who aren't reporting on these metrics. Review: "Make Intelligent Decisions with Bizible"
Bizible is being used across our organization to monitor channel and campaign attribution and lead to opportunity creation. With Bizible data, we've also been able to set up content attribution reports in Salesforce to shine light on which of our blog posts and resources contribute to lead to opportunity conversion. Attribution models - there are several ways to look at the data, and Bizible's first touch, lead creation, full path, custom, etc. attribution models are very easy to switch back and forth between. Integration with Salesforce - It's a seamless set up and fully integrated into Salesforce reports. Slick graphics and easy to understand summary data. You don't always have to wade through spreadsheets to get the answers you need. Customer resources - There used to be a great Bizible University page we could reference with training videos that linked from our instance. It's no longer there, and we've been unable to locate it since. Initial offline channel set-up - This wasn't an intuitive process for us and we struggled a bit getting it set up - even with help from our customer success manager. Having a video to reference, or examples to see would have helped us wrap our heads around the end result we were working towards. Once it clicked with us, we got it going and it all fell in to place, but it took us awhile to get there. Vanity metrics - opens, clicks, webpage view - don't cut it anymore. They never really did. Bizible provides actionable, meaningful data that impacts our business. We can fine tune channels, see which assets are performing and which aren't, and intelligently prioritize where we need to focus on making updates or adjustments to our offerings. Bizible Review: "Solid B2B marketing software"
Bizible is being used as the underpinning for all of our marketing analytics. From Salesforce integration that allows individual sales reps to see interactions, to ROI reporting on marketing spend, to deeper analytics to drive optimization. Bizible is primarily used by the marketing department, but has impact across all of the company. They deliver on B2B marketing analytics and multi touch attribution, both of which were key drivers of our decision making. Bizible is good for any B2B company looking for marketing attribution, especially how all elements of marketing spend affect purchase decisions. This allows spend that is targeted through the entire purchase funnel to get rolled into ROI calculations. Review: "Bizible Removes a Marketer's Blindspots"
I own the digital marketing for my company and recommended implementing Bizible to get more granular attribution tracking for our digital campaigns. The things that attracted me to Bizible were 1) true first touch attribution capabilities via the web script 2) a direct integration with Google AdWords to get attribution down to the keyword level 3) having several different attribution models at our fingertips 4) having the data live and report on directly within our SFDC environment. Bizible has allowed me to optimize my digital marketing dollars to create a full funnel strategy, reduce our advertising cost per lead, and increase deal velocity. Bizible is currently only used by the digital team, whereas the rest of the team uses standard SFDC campaign reporting and attribution via an SFDC app called Magic Robot. We are exploring ways to ezpand Bizible beyond just digital though. Very well suited if your organization lives and breathes in Salesforce and is comfortable with creating and customizing Salesforce reports. Very good for teams with heavy Digital marketing investments that want to measure more granularly. Can be a challenge if you are heavily reliant on the Salesforce campaign object and custom fields within it. Bizible is marketing attribution software that is used by B2B marketers to measure and optimize marketing by revenue.